Rebecca Stott was brought up in the fundamentalist Protestant sect known as the Exclusive Brethren, in Britain, in the 1960s and 70s. Her family left the sect after a scandal involving its leader. She is now a novelist, historian and Professor of English Literature and Creative Writing. In the Days of Rain is the story of one family’s experience in the Exclusive Brethren, how they came to leave the group and how they adapted to an outside world they had always been told was ruled by Satan. 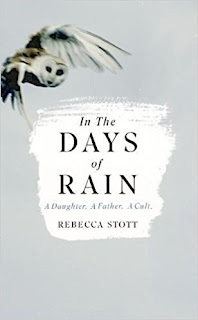 Rebecca Stott wrote this book in fulfilment of a promise to her dying father, who was desperate to complete his memoirs but struggled to write about the most painful aspects of his past. Consequently, it is largely her father’s story, a sympathetic but unvarnished portrait of his life and also of their relationship. 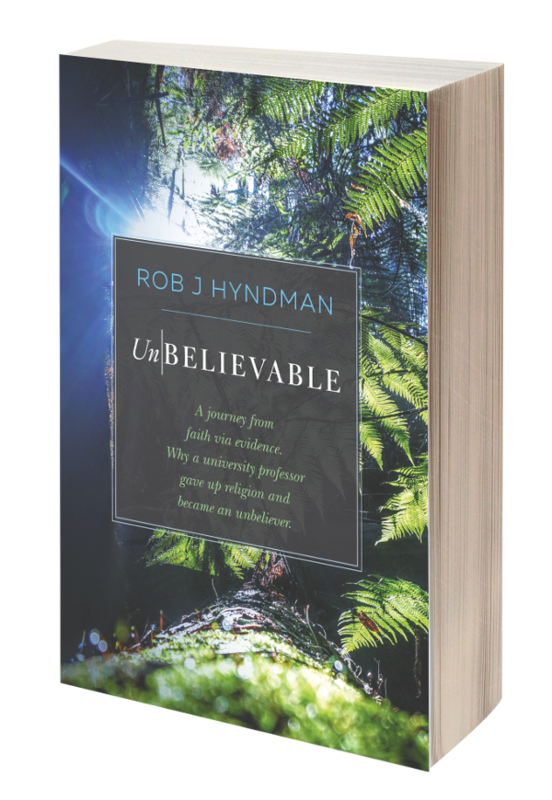 In telling this story she also provides a first-hand insight into the lives of Exclusive Brethren, the extremely strict rules imposed on them and the terrible consequences of this tight control. For ex-Christadelphians, there is much that will be familiar here: breaking bread in sombre meeting rooms (known as Iron Rooms as they are usually constructed of corrugated iron), a rigid and ascetic approach to faith, having ‘the Truth’, the absence of clergy, male authority, an instilled fear of the outside world, a sense of superiority to outsiders, hats and headscarves, and puritanism – though most of these are more extreme in the Brethren than in any Christadelphian ecclesia I have heard of. Like the Christadelphians, the Exclusive Brethren also have 19th century origins and began with a desire to offload the unnecessary baggage and baubles of the established churches and return to a purer form of Christianity. Like the Christadelphians, they appear to have developed from an originally reforming sect to a rigid, controlling one – though the level of control is much, much higher. The main practical difference between the Exclusive Brethren and the Christadelphians is the fact that the Brethren have a single leader who dictates policy and must be obeyed, whereas Christadelphians have to muddle through by a kind of loose consensus process (which nonetheless is quite successful at imposing group cohesion through the suppression of dissent). Stott investigates how her ancestors first became involved with the Brethren and gives a glimpse of the grinding Victorian poverty that provided such fertile ground for dissenting religious groups in 19th century Britain, including the Christadelphians. On a personal level I could very much identify with the author’s father, an “aesthete born amongst puritans”, with regard to his love of English literature – an aesthetic sensibility which sat uneasily with his austere faith. I too remember struggling with the dichotomy between my Christadelphian faith, in all its cold and rigid intellectualism, and the pleasure I took in the beauty of poetry and music. The most shocking aspect of the community described by Stott – which apparently became much stricter with the installation of a new leader in the 1960s, who transformed it from ‘sect’ to ‘cult’ – is the suicides and murders brought about by the strict control and discipline of its members. As in Christadelphia, there are stories of broken families – but it’s all much, much worse. Loyalty to the leader comes before loyalty to family. One is left with the impression of lives hijacked and used without scruple. The book provides a good example of how totalitarian systems work and raises the question of how far religious tolerance should go. Professionals such as teachers, doctors and lawyers who came into contact with Brethren glimpsed the wrongs in the community, but did nothing. Perhaps this leave-well-alone attitude has changed somewhat with the current awareness of the dangers of religious fundamentalism. In the Days of Rain left me even more convinced of the importance of secular education, gender equality, freedom of speech and inquiry, and exposure to multiple points of view; the dangers of indoctrination and allowing one person too much power; and the superiority of believing the evidence of one’s own eyes and experience over unverifiable ‘revelation’. Although the book gets off to a rather slow start (for one who is primarily interested in the sect itself), Rebecca Stott’s prose is compelling and readable and the story she tells is important and thought-provoking. Thanks Phynnodderee. Libraries can turn up some real gems at times. I can remember years ago reading a book from the library with a title something like "Religion Could be Hazardous to Your Health". It must have struck a few chords that resonate years later. I had to look that book up - is it 'Religion May Be Hazardous to Your Health' by Eli S Chesen? It seems to be about the potential cognitive development problems that may be associated with religion when it is presented in the 'wrong' way. Could be an interesting read, though it has probably been superseded by lots of other research by now. Thanks for drawing my attention to it, Richard! Sounds about right. It was a long time ago I read it. I know it is quite different in style and content to the book you reviewed but it sprang to mind while reading the review and I was very pleased to see a new article on the website, so I commented. You`ve whetted my interest in trying to get hold of a copy of 'In the Days of Rain'. Another book I`ve heard about, which again, I may try to obtain is, "'Knock Knock' - Who`s There? ", The Truth about Jehovah`s Witnesses, by Anthony James. I think I`ve also come across "Christadelphianism Astray from the Bible", by A J Pollack, published, I believe, back in 1930, which was probably getting at "Christendom Astray". It's an interesting combination of things by Christadelphians (including some of the well-known names) and those who disagree with them (including A J Pollock, who according to Wikipedia was from the Plymouth Brethren - from which the Exclusive Brethren developed). Traditionally Christadelphians have been prolific writers. Is this changing now with the general decline in the intellectual status of the community? (That's not a snide remark - I've seen CDs themselves comment that Bible study and the general intellectual tone are on the decline.) Thoughts, anyone? There is also a cover-illustrated list of Christadelphian Office book publications at www.thechristadelphian.com/christadelphian_office_books.htm and from my own knowledge many of the authors are now not with us, and a good many were old men some fifty or more years ago. So, very few up-and-coming Christadelphian writers? There would be the traditional publications from the Christadelphian, the Testimony, and now I think the Tidings. Often series of magazine articles, but I think historically that's where a lot of Christadelphian content has come from. Printland in India has published quite a few over the years, but I don't know where they are at now. There's a significant strand of Christadelphian intellectualism that seems to be outside the mainstream. Willow Publications and the eJournal of Biblical Interpretation (many books by Andrew Perry, but also ones with many contributors like "Reasons" and "More Reasons"). Also a few books by the Burke brothers. Perhaps others. This group of people are also probably the people that I hear talking about the decline of intellectualism in the general community. I don't have a good basis for comparison, though. Mancott, I think that may say more about the declining position of the Christadelphian, and maybe of the magazines in general. Plus they did put a lot of effort into digitising old books a few years back, and they have a much longer back-catalogue than other Christadelphian publishers. I sometimes read the Christadelphian, but few among my peers would have read it. Not sure how representative that is. I did see frequent notifications of new books, but most of them were not published by The Christadelphian. I think the consensus position of the intellectual strand I talked about yesterday is that both the Christadelphian and the Testimony are moving (or have moved) towards conservatism and fundamentalism. Both of them are considered to have been more scholarly in the past. In today's age of self-publishing, part of the response is for these groups to publish their own books. Hope my local library has the books mentioned........sound like great reads. I would like to mention also A Little History of Religion by Richard Holloway published 2016. He tells it all beautifully.If you were to choose a religion, a couple really stand out and conversely many more than a couple don’t!!! The end paper suggests that it would be an excellent book for young readers. 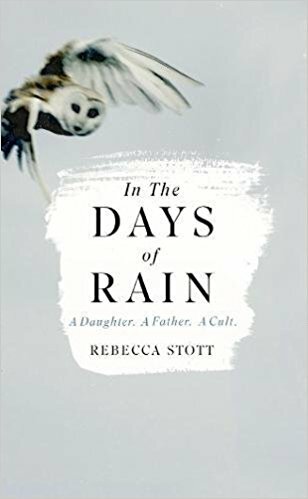 In the days of rain- this book is exceedingly good and well written about what life in a sect can be like. My experience in the CDs in the 70’s and early 80’s was just as bad as Ms Stott records. We may have not had a leader at the top in Birmingham giving out the rules but I had bother from the Recording bro and his AB’s. I came from a strict family 3rd generation CD. I remember as a child being in tears on Sunday mornings because I couldnt remember the correct answers from the blue Christadelphian Instructer before I went to Sunday School. I experienced nothing but ridicule and problems from fellow work people when I started work, because I had been told by the CDs it was wrong to be in a trade union and from that my colleagues found out that I was not allowed to have anything to do with politics. I knew nothing of pop music or cinematic films. Television was more or less banned and what books we read where vetted. Life is not easy for the strict CD embarking out into the world as I found out. I was questioned, begged and subsequently shunned by family when I decided enough is enough and left. Thirty years on I am still treated ‘differently’ from the rest of the family. I would certainly recommend another very good read ‘Leaving Alexandria’ also by Richard Holloway. Thanks for sharing your experiences, Gorse. I'm sure many of us can relate. My family, although at least 3rd generation CD, were a little less overbearing. I was allowed to watch TV, read books of my choice and mix with friends from outside the meeting. Thus it wasn't such a wrench and step into the dark when I decided I wanted nothing to do with religion in my teens. I can however sympathise with others who weren't so fortunate to have a more balanced upbringing. One of my Sunday school peers, who's father is a big shot preaching brother, is hopelessly immersed in the cd world. Everytime I bump into him he vacantly bleats about me leaving and what a good idea it would be for me to read the Bible and get back on track. When I asked if he had ever considered that he might be wasting his life chasing a fantasy world that doesn't exist, his look of confusion was pitiful. And if it is not a 'fantasy world' but actually authentic and the Lord returns as promised, what do we do then? I would be very surprised. Then I would ask him why, if he wanted to save us, he couldn't just do it without killing his son first in cold blood. Why he thought it was a good idea to communicate with us through an ancient book full of symbolism and parables, whilst remaining totally silent for the last 2000 years. Why he created cancer, flu, childhood leukaemia, parasites, ebola virus etc. It would be very interesting I'm sure, but unfortunately remains in the realms of wishful thinking. There isn't really much point in considering "what if" scenarios unless we have some compelling evidence that a given scenario is likely to occur. If the Lord returns as promised, What do we do then? This is a "red herring", Skeptic. Several billion Christians across the globe will not be surprised or distressed by the appearance of The Lord. Others of other religions, who have never been brought up with the Jesus story will likely be surprised, but have nothing to fear either. It would simply mean that an extremely unlikely set of circumstances will have occurred, and people will adapt accordingly. The biggest problems would arise for non-Christian sects such as Christadelphians, JW's, Brethren and the like, because far from becoming rulers over their fellows, ruling over towns and cities, taking peoples goods,burning farm animals, and the general murderfest promised, they would find themselves at the mercy of the lord, and facing the very real prospect of burning eternally in hell fire. You see the problem is, that if you create a set of beliefs, without any evidence for them, then other peoples beliefs become an equally valid possible scenario. Hi Skeptic, good to be skeptical, but a wise journey upon a very careful, honest, rational approach to examining this 'fantasy world', will find that it is in fact (and it will be an unsettling revelation to some), . . . a fantasy world. However, if that is what you are happy to be in, why worry about finding out the truth about it? Stay within the bubble. Jesus is not going to return. Well....Who can really know the whole truth until Jesus never returns, and how will we who cannot know the events of even tomorrow, procrastinate vie an insistence that his return can never be accomplished? As a young child I was always taught "It is better to be safe than sorry". Could it be, a maybe wise application in this often perplexing scenario also? A couple of interesting points you make. Please see my comments above with regard to the return of Jesus. I'm trying hard to ignore the fact that Christadelphians (JW's, etc) are pretty much notorious for having a stab at the imminence of his return,and focus on the main issue. All of us will try to "hedge our bets", that's why Christadelphians, along with everybody else, contribute to pension schemes, take out insurance, and accept "wisdom of man" medical interventions. However, if you were doing a financial hedge bet, you would most likely go with investing in "blue chip" companies, with a long established track record of good management, established customer base, etc. You would not throw your lot in with a start up firm, with no management track record, and a diminishing customer base. So you would select to be a "conventional" Christian/Muslim/other over being a Christadelphian on that basis. "There isn't really much point in considering "what if" scenarios unless we have some compelling evidence that a given scenario is likely to occur." Well to hundreds of millions the Bible (for some strange reason the best selling book ever printed) is most compelling and does promise his return, and at a time when people will be least expecting him to do so. If I might briefly comment about your two posts, Skeptic, firstly we had someone else here recently, suggesting the "better be safe than sorry" stance, and we also had "the best selling book" reason stance, for believing it, which was also dealt with comprehensively. Neither approaches at the time were shown to be good ways of getting at the truth, and I would suggest not worth pursuing all over again, but others may wish to comment. The only thing I would add is that it may be helpful to turn that skepticism towards Christianity and Religion in general. The "Jesus" character is hardly original. I can but agree. Specifically relevant to us though is the "fact"that most of those billions who have read it or had it read to them,they completely failed to understand it. ( so say the Christadelphians/JW's etc), like everybody else just did not get it. Also, conventional Christians accept that they do not know the time of the return, this is not the case with the others, who believe they can calculate when he will be back. Mithras, Horus, Jesus and even the likes of King Arthur all mythical with plenty of story surounding them. Keep looking and you find even more similar types with similar story lines all making their entrances and exits through history all coming with compelling evidence. Then there are the philosophers like Nietzsche, Camus and Wittgenstein to name but a few who have left plenty to read and think on. So my advice would be do not rely on the bible or just one character but stop look and listen to all that is out there. Still none offer what the Gospel has offered, passing from judgment, punishment, and eternal death and given immortality along with ruling the nations for a 1000 years. So what can be lost in having a go at it? And if finally shown to be true, by his return, the rewards would be truly tremendous and breathtaking. Although I agree the Christadelphians are hypocrites in many instances, no one is forced to accept all their ways for salvation. Blaming them for their uncompromising attitude if any turn away from God and have loss of faith seems a little unfair, why take it out on God for how they treat failing non conformists to the NT faith? It can appear quite bewildering to onlookers. Skeptic, I strongly suspect that you are yet another pseudonym for Jeff Hickling, and I refuse to be drawn into a 'discussion' with you which consists of you shouting from your soapbox and completely ignoring what anybody else says. We have already discussed your various 'arguments' ad nauseam, and no purpose is served by going into it all again. Folks, please be aware that I won't allow this thread to be derailed into a discussion of apologetics nor a mudslinging contest. Please keep comments more or less relevant to the article. Phynnodderee, I so agree with Antonina. It shouted at me. I was about to suggest the same. Skeptic`s comments seem to be too much like Jeff H`s not to be him. Go back over Jeff`s and compare. If Skeptic is Jeff, then he should come clean and say so, and not hide behind a new pseudonym. If Skeptic really is Skeptic, then I will tender an apology. But let`s not go all over the same Hicklingesque-type rant again. What Rebecca Stott has given us is a real story in the world as we know and experience it. We also have our stories and I find it helpful to read books like this because of the similar journeying. I still sometimes like the myth and nostalgia of religion but as my other posts show like Ms Stott life is to be lived. Thanks, Mancott. Noted. I don't wish to be high-handed or stifle discussion in any way, I would just like people to keep it courteous. Should have added that my comment wasn't really aimed at Antonina. I am aware of Mr Hickling's past commenting behaviour and had my suspicions, hence the polite warning. Agree, Gorse. It can be very validating to read about someone else's experience and see the similarities with your own. Check out the work by Bill Donahue on YouTube, his work on Mythology, the Bible and Ancient Religions is absolutely brilliant. Thanks for the tip, Brett. I’d be interested to know if anyone still has family in the cult that is Christadelphia and experiences of how you deal with the discussion of religion as it invariably comes up? Thirty or so years ago I was shunned. I and through the years also my family were not allowed to visit or see my parents on a Sunday and for whatever reason which I thought peculiar Christmas day. I never again of course could see my mum on mothering Sunday. I’ve still got plenty of family in the cult but have never had to deal with religious discussion as I was and am still blanked if anything comes up.